A month into the 2019 NRL season and there are some teams who are already falling behind the eight ball. The Broncos are one of these and they'll need to show why they were touted as premiership contenders soon, or risk missing the eight altogether. The Panthers have also disappointed, but will hope a golden point win in Round 4 will spark their season to life. Melbourne meanwhile are once again looking like the team to beat. They'll travel up to Queensland in Friday's feature game. Check out our NRL betting tips for all three of the early games below. Anthony Seibold's Brisbane need to turn things around and do it quick. One of the pre-season premiership favourites in the NRL odds market, the Broncos have only won one game in 2019 and were thumped by 32 points last week. 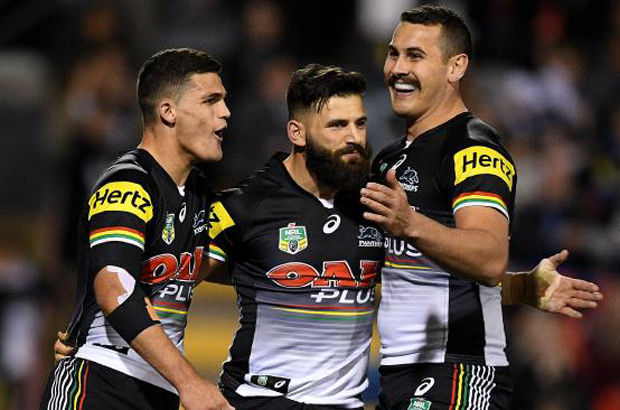 Wests meanwhile will be looking to come out with a vengeance after they let victory slip through their fingers a week ago, going down to a Nathan Cleary drop-goal. Even without the suspended Tevita Pangai, Brisbane's big and mobile forward pack will be the key to their success. Big things were expected from the Broncos pack in 2019 and they have failed to live up to the hype. Anthony Seibold is a young coach and his forwards are also young by NRL standards. So far this youth has counted against the Broncos, who look to be missing a leader out on the park. Darius Boyd has looked uninterested at fullback and questions still remain over whether Anthony Milford is a genuine number six. After missing a staggering 52 tackles against the Roosters last week, Seibold will be desperate for his side to turn things around here. Many NRL punters are surely still scratching their heads, trying to figure out how the Tigers lost last week. They absolutely dominated the Panthers throughout the 80 minutes, but failed to translate this into points on the scoreboard. Then, a few careless errors in the dying stages ended up costing them. Michael Maguire has plenty of positives to take from this game, namely the way his forward pack bullied the Panthers big men. The performance of Josh Reynolds will also please Tigers fans. In his first full game of the season, the livewire notched up two try assists and made 26 tackles. If the Tigers replicate that performance and take a few more of their chances, then Wests are primed for the upset. Reasoning: The form points to Wests, while the key NRL statistics suggest Brisbane. This bet is a good middle ground. The two most disappointing teams of 2019 do battle on Friday, when Penrith journey up to the Gold Coast. The Titans are still searching for their first win, after four awful performances to start the season. Meanwhile Ivan Cleary can thank his son for delivering an undeserved win in last week's game against the Tigers. If the Panthers play at the same level here, they'll gift Gold Coast the win. While the Titans have been horrendous to start the year, they have had excuses with both of their first choice halves missing plenty of action. Both Ash Taylor and Tyrone Roberts started last week though, where they looked as if they were trying to get into the groove of the new season. With that game under their belts, look for a much improved performance in front of their home fans here. However, there is no doubt that the Titans handling errors will be causing coach Garth Brennan plenty of sleepless nights. They must improve on their woeful 69% completion rate from last week, which included 14 errors. Also worrying for the Gold Coast has been how ineffective their much-hyped forward pack has been. They get their chance to make amends here. The way the Titans have been defending, you'd think the Panthers just need to complete their sets to secure the two competition points. At just 62%, Penrith have the worst completion rate across the league after four rounds of NRL footy. Surely this will improve on the Gold Coast. But with showers forecast, Penrith once again won't have the dry track that they are in desperate need of. Perhaps Ivan Cleary's decision to switch DWZ to fullback and Dylan Edwards out to the wing will spark a change. Look for the error-prone Edwards to have a good game and prove he deserves a spot in the side. NRL Betting Tip: No bet. Reasoning: You couldn't back either of these teams. Anything could happen, so save your money here. Melbourne played their worst game of 2019 last week, but still managed to scrape over the line against the Dogs. Craig Bellamy's men rarely dish up poor performances back-to-back, so the Cowboys better watch out. Especially considering that they look to have lost the boost that playing at home used to give them. Round 4's loss to the Raiders in Townsville was yet another example of how far the Cowboys have dropped away since 2017. The Bulldogs showed last week that there's a recipe for success against the Storm. At the heart of this is set completion, combined with moving the ball around in attack. The Cowboys are currently completing at 73% in 2019. If they lift that and their hard heads in the middle get on top, then they'll give Bellamy another scare. But Michael Morgan will be the key man. He lines-up against his competition for a Queenland halves spot, Cameron Munster. A stellar display from him is essential if the North Queensland mob want to cause a boilover. Melbourne have been dominant on the road in 2019, conceding just two tries and and scoring nine. If they bring that same form to Townsville, they'll thrash a Cowboys side who look to have forgotten how to defend. Josh Addo-Carr returns to the starting line-up, while Suliasi Vunivalu goes out through suspension. Addo-Carr is unstoppable on his day and if Melbourne's big-boppers win the metre-battle, look to him to score a bag. Jerome Hughes seems to have seemlessly filled the void at fullback left by Billy Slater. He leads the competition in kick return metres (314) and sits in equal third for support play (77). Reasoning: After a rare stumble last time, expect a Melbourne masterclass here.